Robin's Green Shades: Happy Birthday, Robin! I can only imagine all the wonderful new feelings and emotions this past year has brought to you! I wish you another amazing one full of joy, to you and your wonderful family. How special this birthday must be, how many more special ones to come. Can’t wait for your upcoming projects as well! Thinking of you, and sending all my Love. The Birthday Book is ready! 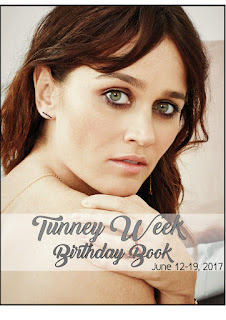 Inside, the Tunnies' wishes, and what this year's TunneyWeek was about. A book is lovely. I wish you all to receive a answer again.